Life Book Life Book Life Book!! It's here!! 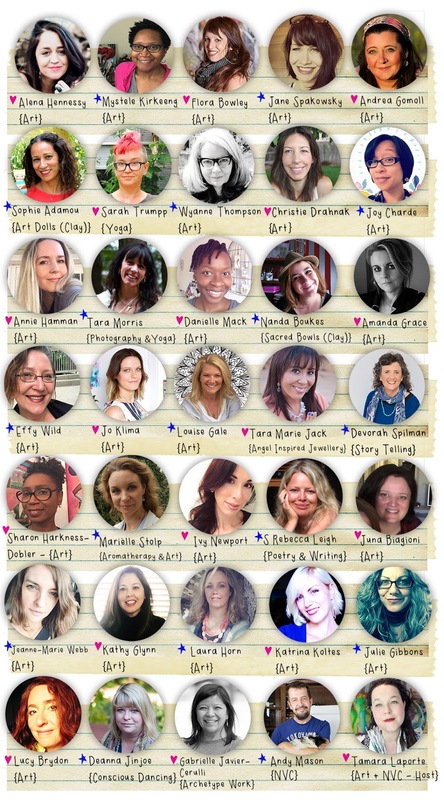 Tam is joined by 23 incredible art teachers who are all gearing up to share their mixed media techniques, tips and tricks with YOU! PLUS this year, Life Book is going to be bigger and better by including another 12 fantastic artists and wellness guides who will focus on additional personal development practices and other art modalities, think: sculpting, yoga, sacred bowl making (clay), working with angel energies and creating angel inspired jewelry, photography, conscious dancing, archetype work, poetry & story telling! Themed around self-development and healing, you’ll be creating several loose mixed media art journal pages per month which by the end of the year you will bind into a glorious journal (a Life Book)! You will have a wonderful keepsake that you can treasure for the rest of your life! You will also be introduced to yoga, aromatherapy, angel energy and other wellness exercises to help support your personal development journey more holistically. Imagine the fun you will have getting introduced to and acquainted with some of the other wonderful art forms out there! 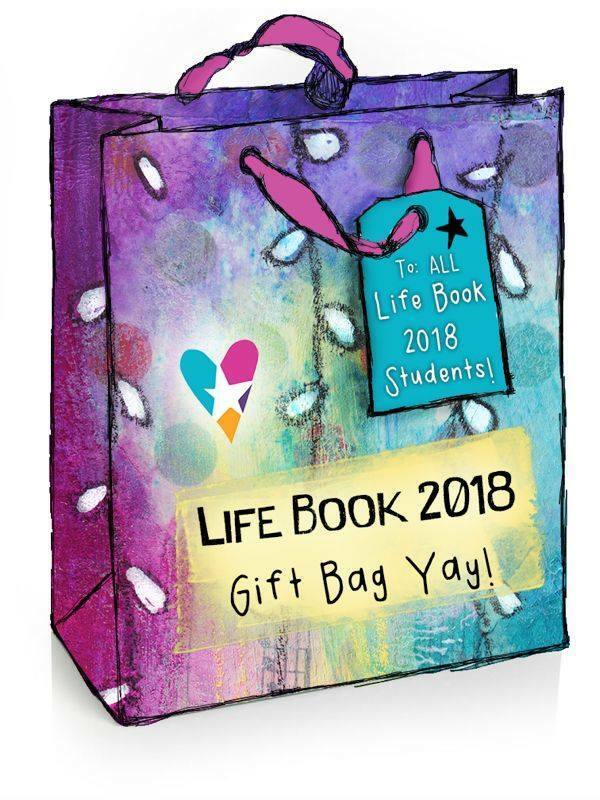 PLUS this year, when you join Life Book, you will get a VIRTUAL GIFT BAG too!!! In it are: free classes (yes really!!! ), lots of discount codes for amazing products and courses, beautiful and uplifting high res prints, free colouring pages and ezines! Awesome right?! You get SO much extra fun stuff!! The one and only AWESOME Life Book. Established in 2012, Life Book is the original Year Long Art and Wellbeing Online Course. Come join us! Click on image above to find out more, see you there! Ever After is the Artist Style Development Course - Dig into telling your own true unique story through your art and use the Ever After course as a springboard to explore and develop your own style. Find your own unique voice as an artist! Click on image above to find out more about this fairy tale course. Making A Junk Journal and Stencil Winner Giveaway! 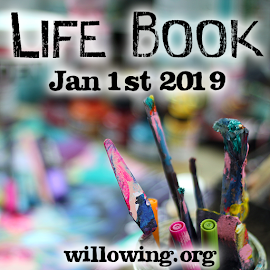 Established in 2012, Life Book is the original Year Long Art and Wellbeing Online Course. Click on image above to find out more! Click on image above to find out about the beautiful vegan travellers Caryl and Paul.